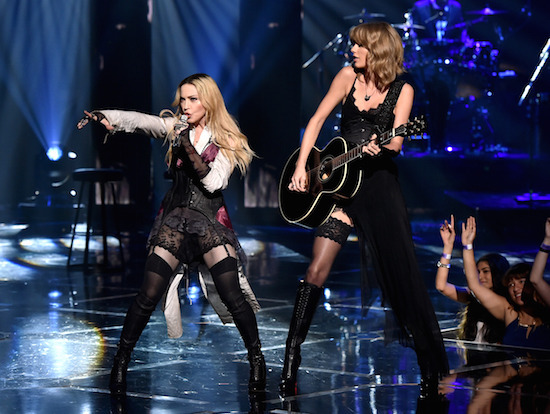 On March 29 2015, Madonna performed Ghosttown with Taylor Swift at the iHeartRadio Music Awards. 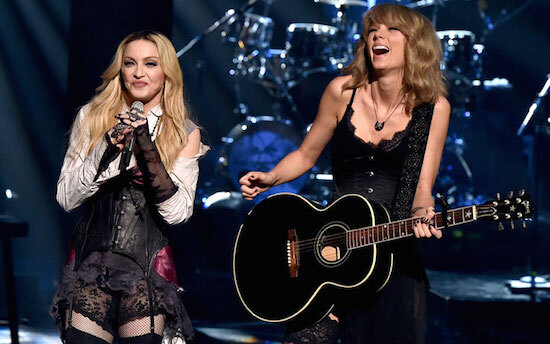 The 2015 iHeartRadio Music Awards promised there would be “unexpected collaborations” between the marquee artists attending the Los Angeles event, and the ceremony didn’t disappoint as Taylor Swift joined Madonna for an acoustic rendition of the Rebel Heart singer’s new single Ghosttown. 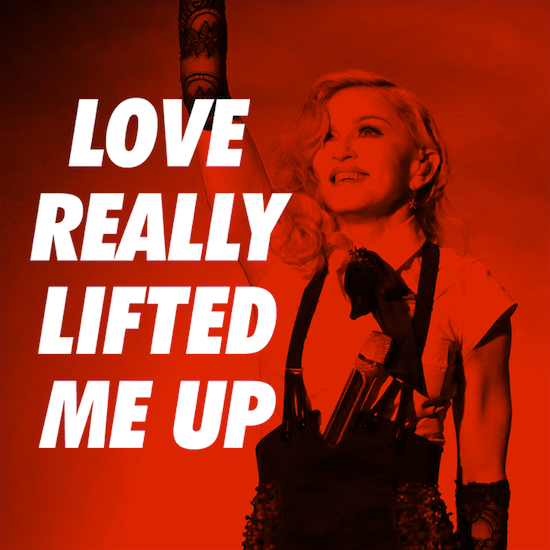 After the huge spectacles Madonna brought to her Grammy and (ill-fated) Brit Awards performances of Living for Love, the singer, armed with just a few stools, employed a minimal stage setup. 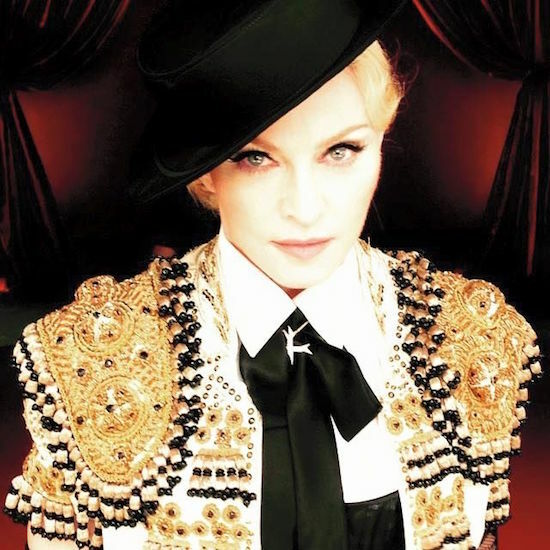 Swift, on acoustic guitar, helped deliver a powerful, poignant rendition of the apocalyptic track before the black lace-wearing pair were joined by a large backing band for the single’s final minutes.